JOHANNESBURG - Gauteng residents say they felt two earth tremors last night, each lasting a few seconds. Residents in Lenasia, Germiston and Boksburg say they felt the earth move at around 8:30pm, but there's been no official confirmation of the magnitude. 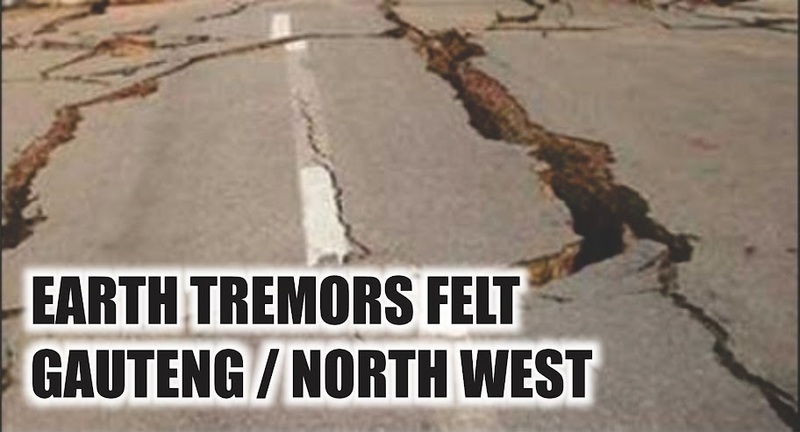 There are also reports that people in the North West province also felt the tremors. Johannesburg – A second earth tremor has been felt in the eastern parts of Johannesburg, about two hours after the first tremor was felt across Johannesburg on Thursday evening. Residents from Germiston and Boksburg reported feeling a second tremor hours after the first one. The tremors lasted a few seconds. Some Boksburg residents believed the second tremor could have been a mine blast. A resident from as far as Parys, which is over 100km away from Johannesburg, also reported that they felt the tremor. Earlier it was reported that while the magnitude of the first tremor was not immediately clear, residents from as far afield as Lenasia, which is around 30kms from the Johannesburg CBD, reported that they too had felt the brief shake.